These kitty sisters are lovingly referred to as “Grey Wool”, as one is named Grey C (left) and the other Woolley (right). 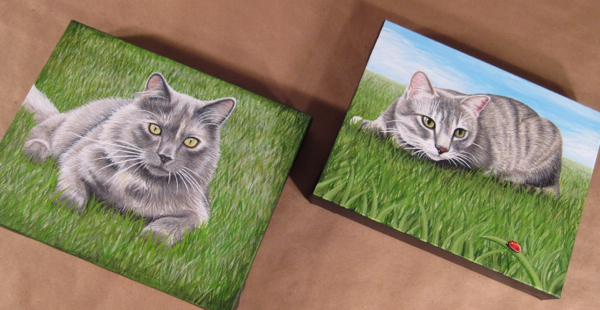 This set of two cat paintings was ordered as a surprise Christmas present from wife to husband this past season. Grey’s reference photo was set in lush grass, so when we were in the initial planning stage for this set my client let me know that she’d like Wool’s background to incorporate grass and blue sky (vs the area carpet from the reference photo). She also requested a ladybug in the foreground in line with Wool’s gaze for some added fun, which turned out really cute I think. 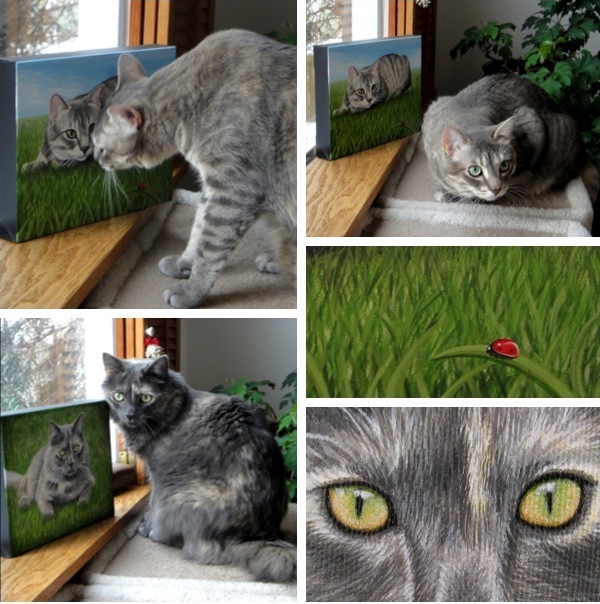 Full images of the finished paintings can be viewed on my Pet Portrait portfolio page. 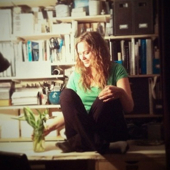 I also hope to get together a flip-book style video of this set shortly!